Could knowledge of TBIs have prevented this police shooting? Could better training about TBIs have prevented this police shooting? On September 20th, a 43-year-old African American man named Keith Lamont Scott was shot and killed by a police officer in Charlotte, North Carolina. The officer had arrived at the scene while searching for a different man with an outstanding warrant, but shot Scott after reporting that he believed he saw Scott carrying a handgun. Keith Scott’s wife, Rakeyia Scott, filmed the confrontation with police and can be heard on camera telling officers, “He doesn't have a gun. He has a TBI. He's not going to do anything to you guys. He just took his medicine.” In videos from the scene filmed by both Rakeyia Scott and police, Keith Scott appears to have difficulty following instructions given by his wife and by the officers at the scene. Scott’s mother told reporters that a year prior, he survived a serious motorcycle accident that left him with severe injuries including a broken pelvis, a broken nose, and a brain injury that caused him to stutter and have difficulties with remembering conversations. In a statement released by the Brain Injury Association of America, president and CEO Susan H. Connors confirmed that, “Traumatic brain injury can also result in problems with receptive language, or understanding what is being said, and individuals may have a delayed reaction to commands.” She cautioned reporters against stating that Scott had a mental health disorder or making sweeping judgments about the expected effects of a traumatic brain injury, since different patients can experience different symptoms after a TBI. Are police officers being trained to understand brain injuries? Brain injuries can cause sufferers to struggle with life activities including following directions, speaking clearly, remembering what to do in a tense situation, and keeping their emotions under control. 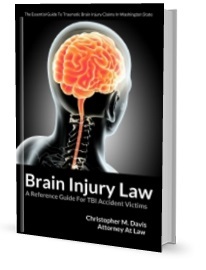 The symptoms of a traumatic brain injury can last for months or years after the initial traumatic event. Because brain injuries do not always have obvious external symptoms, and the lingering effects do not always show up on brain scans, it can be difficult for an untrained observer to understand the difference between someone who is purposefully ignoring spoken commands and someone who cannot understand or follow them. In a recently released study from Western Kentucky University, researchers designed an online training module intended to teach police officers to distinguish between the effects of a traumatic brain injury and alcohol intoxication. Many possible symptoms of brain injuries mimic drunkenness; while officers are trained to recognize alcohol intoxication, they are rarely taught that balance problems, slurred speech, memory issues, and difficulty following directions can also be signs of neurological damage, or that they should be especially aware of the possibility of brain injuries among populations near large hospitals and military bases. Officers commented after the training that the training was helpful because they had not been previously trained on how to recognize the symptoms of a brain injury; even officers with many years of experience on the job stated that they rarely get feedback on whether the people they interacted with during crises had a medical diagnosis that explained their unusual behavior.